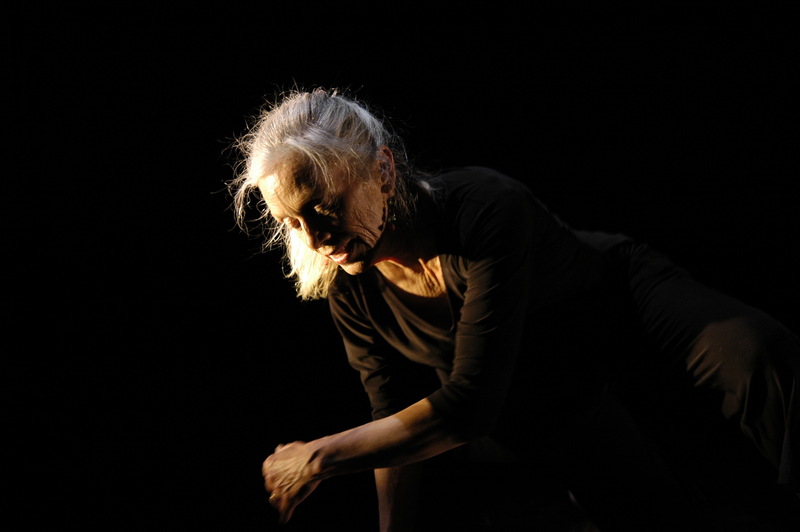 Andrea Olsen, dance artist, writer, educator, is Professor of Dance and has held the John C. Elder Professorship in Environmental Studies at Middlebury College, in Middlebury, Vermont, USA over the past three decades. She currently teaches on Middlebury’s Monterey, California campus, bringing embodiment practices into graduate courses on communication. She is the author of a triad of books on the body with colleague Caryn McHose: The Place of Dance: A Somatic Guide to Dancing and Dance Making (Wesleyan 2014), Body and Earth, An Experiential Guide (UPNE 2002), and Bodystories, A Guide to Experiential Anatomy (Station Hill 1991/UPNE 2002). Andrea performs and teaches internationally. She was a Fulbright Senior Scholar in New Zealand in 2003, working with Maori, Samoan, and Cook Island dancers. Current projects include continuing the Body and Earth: Seven Web-Based Somatic Excursions on-line video projects with colleagues Scotty Hardwig and Caryn McHose, and hosting a Whole Body Intelligence series of films and lectures with colleague Nükhet Kardam at the Middlebury Institute of International Studies. Colleagues whose teaching has inspired Andrea’s work include Janet Adler (the Discipline of Authentic Movement); Bonnie Bainbridge Cohen (experiential anatomy through the School for Body-Mind Centering); Caryn McHose (evolutionary movement); Patty Townsend (Embodyoga); Peter Schmitz (choreography); Gordon Thorne and Anne Woodhull (Available Potential Enterprises in Northampton, MA), whose visionary work preserves open space for creative work in the heart of community. As a contributing editor to Contact Quarterly, a dance and improvisation journal, Andrea served as guest editor for two feature issues on Place. She teaches annually at dance festivals in the US and abroad, including residencies at the Bates Dance Festival, the American Dance Festival, and the Seattle Festival of Dance and Improvisation. Her somatic workshops have been hosted at numerous centers including Kripalu, The Omega Institute for Holistic Studies, and the Sophia Institute. Body and Earth International Training Programs were held annually in Wales, and continue in Great Britain. Mindfulness practices have been central to Andrea’s work as an artist and educator. She is a 500-hour certified Embodyoga teacher, studies Qi Gong with Lee Holden, and practices Vipassana Insight Meditation. As one of the first recipients of an ACLS Contemplative Practice Fellowship in l999 Andrea integrated yoga labs into her academic courses on anatomy. She currently includes Qi Gong as a bridge to bring mindfulness practices into the academic curriculum.